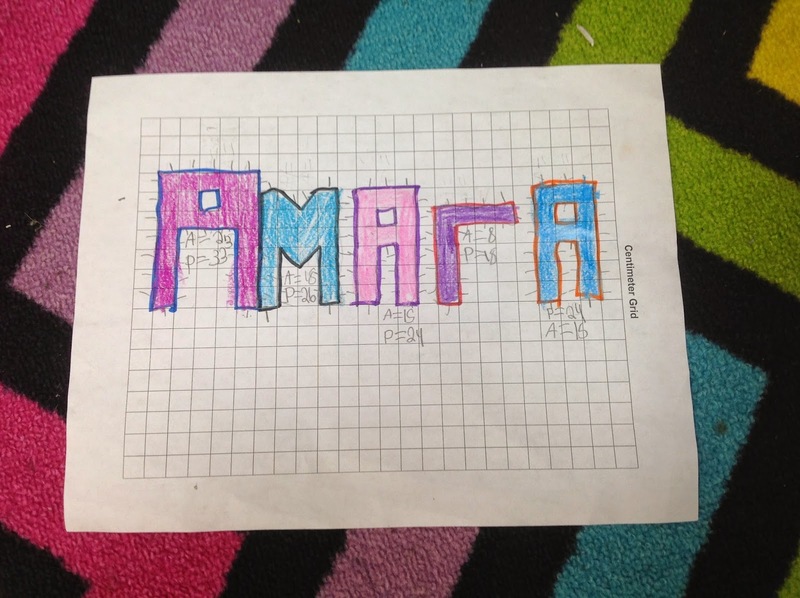 About a month ago...I was in need for an activity that I could incorporate area and perimeter. So I went to my first source for finding inspiration....Pinterest! 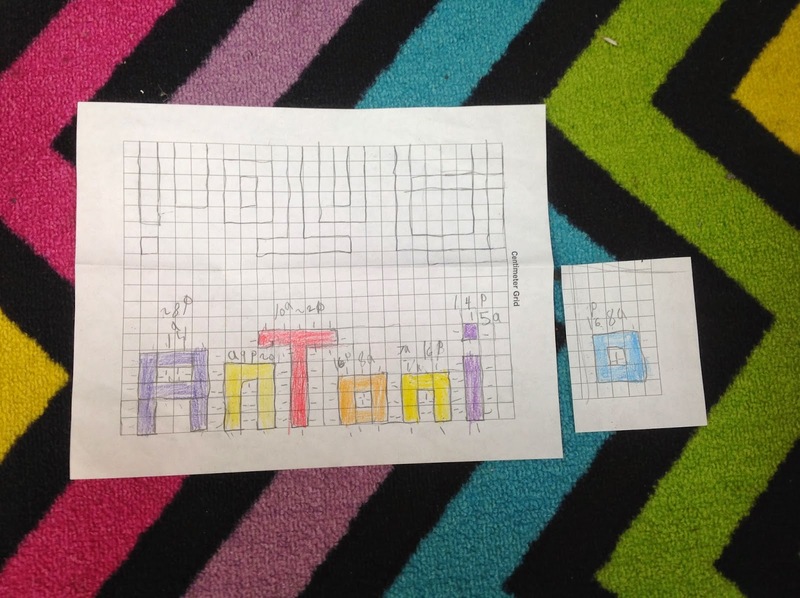 I gave each student a piece of centimeter grid paper. Let me tell you...it was hard for some of my kids. A few students needed extra paper. 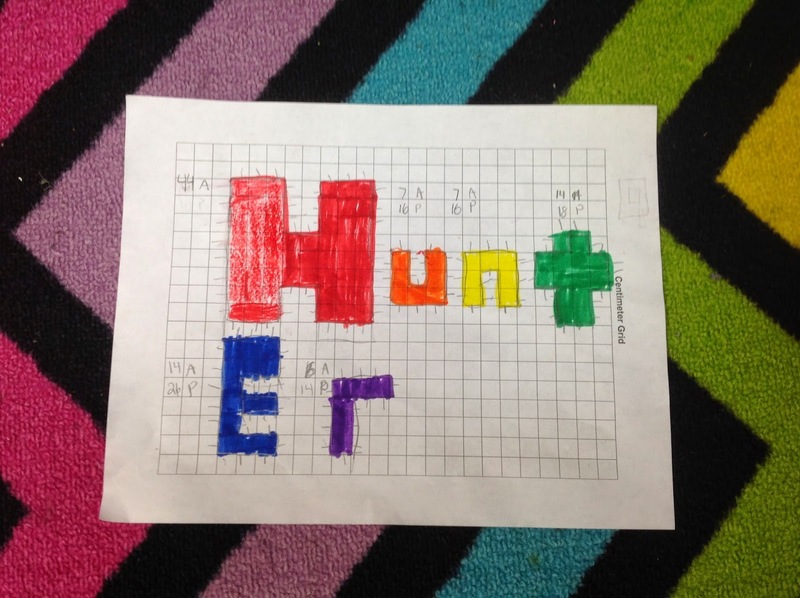 After they wrote their names, they had to find the area and perimeter of each letter. When they finished, I mounted them on black paper. I had to cut and paste some of the names together. Here they are hanging in the hallway! I love how they turned out!! Totally doing this! :-) Awesome! 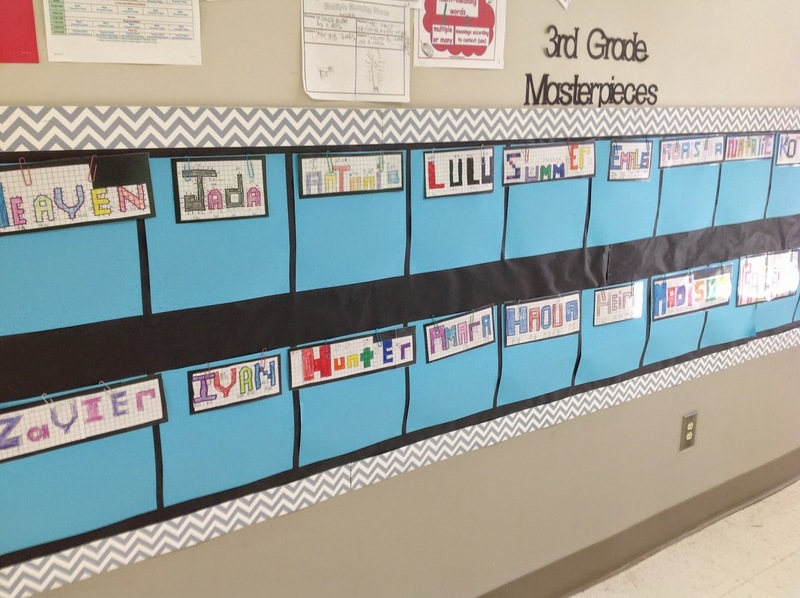 Love this activity! I am totally digging the gray chevron BB boarder on your BB! 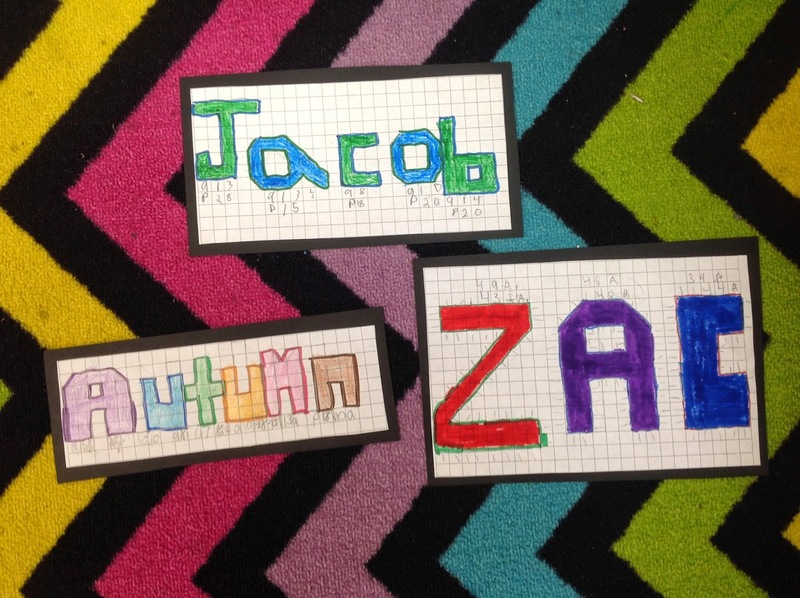 The students names look great too! Such a great idea!!! Thanks for sharing! The names turned out great! 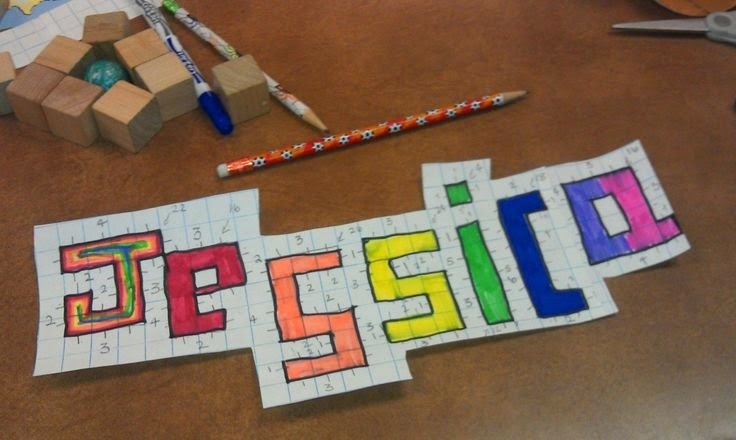 What a great, personalized way to practice area and perimeter! Thank you!